By the time this newsletter reaches your mailbox, Thanksgiving will be right around the corner, and Christmas décor will be everywhere. I love this time of year. The weather has finally cooled off, competitions are going full throttle, and I am able to catch up with friends I haven’t seen during the summer hiatus. Life is good! Hurricane Michael. I’m an insurance agent in the Tallahassee, FL area in a small office. We had more than 100 claims; some that were complete losses. We have insureds who, 30 days later, remain without power or a place to call home. Animals remain missing, both small and large. 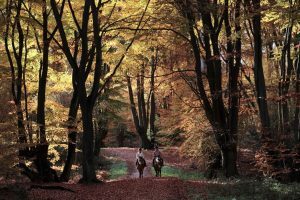 Agriculture agents search local forests hoping to find displaced horses, cattle, etc. Michael was originally on course to strike Tallahassee head-on before taking a last-minute westerly turn. I can’t imagine the devastation that would have occurred. I know this; the next time a CAT 3 hurricane is projected, I’m moving my animals. Personal choice, but I am SURROUNDED by massive trees. Not worth the chance. There are several reputable organizations seeking assistance with donations of hay, feed and shelters. Dr. Bess Darrow of Tune Ups Equine Dentistry has been a driving force on trying to get supplies to those who need it. She has a GoFundMe, Hurricane Michael Horse Relief page with a goal of $50k She is also on FB. If you can help, please do! Of course, there are many, many other organizations helping as well. Give what you can, to whom you can, generously. 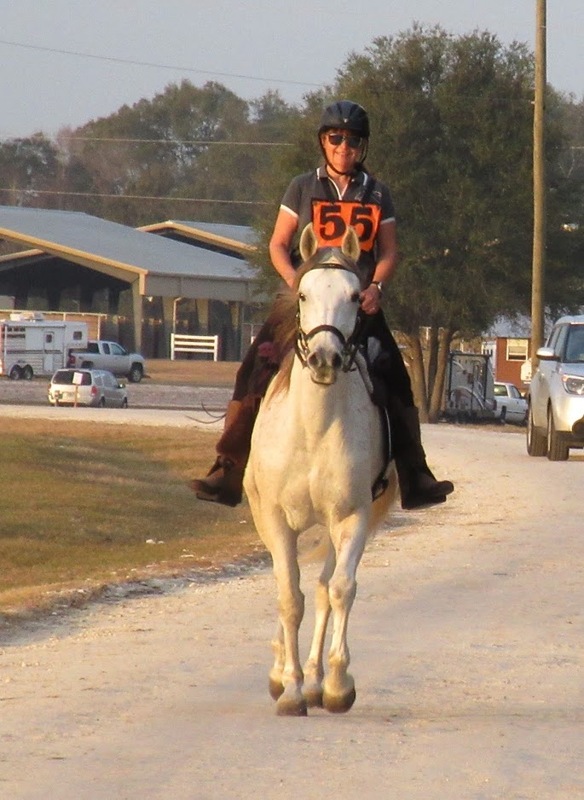 Speaking of giving generously, The Autumn Gallop at CAMP BOGGY CREEK was a HUGE SUCCESS! Our participants raised over $18,000! The Winkel family raised $6900 of that. AMAZING! This is a beautiful facility, and what they provide to children with various medical issues just short of miraculous. The weekend was perfect from camping, to trails to volunteers to weather. The donations for the auction spectacular. Everyone was a winner! Pictures from the weekend are available at MariaPhillips.smugmug.com. She always gets some great shots. The grilled cheese sandwiches at the hold are always popular! THANK YOU to EVERYONE! Look for this ride next year and GO! Welcome to our newest members: Rob Bunnell, Frances Emmons and Susan Volz. We look forward to seeing you in camp and out on the trail. If you see me at a ride, I have SEDRA shirts available for purchase. My trailer shower has become the shirt closet! We have many sizes, colors and style options available, all affordably priced. Our “vintage” shirts are discounted to $5. You can’t beat that deal with a crop! All make perfect riding shirts. 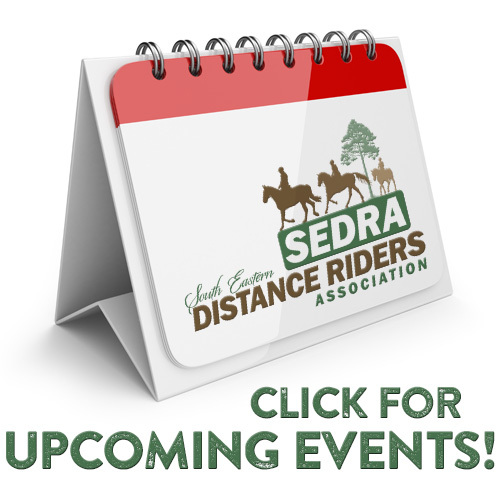 Show your SEDRA spirit! Please buy a shirt so I can take a shower after a ride! We had a few members head up to Henryville, Indiana for the Championship ride which included the Performance Shagya-Arabian Registry, the American Morgan Horse Association, and the Akhal-Teke Association of America to the Distance Horse National Championships. These organization joined AHA and the returning partners, the Appaloosa Horse Club and Paso Fino Horse Association. The trail system is beautiful and challenging especially when you add some rain into the forecast. Cheryl Van Deusen for her 50-mile finish on Hoover the Mover and 100-mile finish on Spotless Summer magic aka Spotty. Sarah Hunt for her 100-mile finish with her Shagya, Royce. He won Reserve Champion on his FIRST 100! Way to go! Karri Wilson Bruskotter on BKR Séance n Moshahn on the Day one 50 then BKR Poetry N Moshahn on the 50 the next day. Thank you to our members who also volunteered. I don’t have the list or I’d share their names too. Congratulations to first time ride manager Charlesey Charlton-McCallister and EVERYONE involved with making this ride a HUGE success. The compliments were non-stop on FB pages on how well everything went. 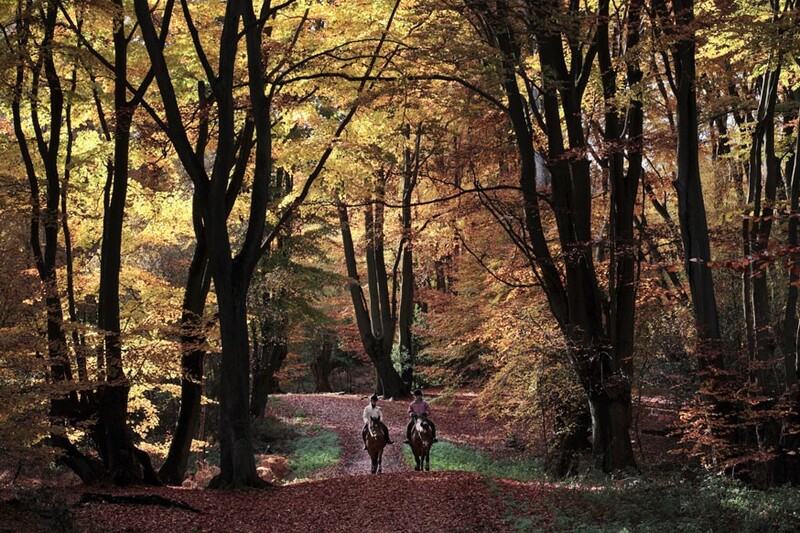 Roxanne Ciccone shared that the trail was tough and beautiful. The management team was organized. The accommodations were excellent. As a first time ride manager just getting any one of the above accolades is a Godsend. At the Mingle they excelled! I hope they bring this ride back next year, and that I can attend. When I pulled in to camp that Saturday morning, the first speaker was already in progress with about 20 people gathered around. What a great turn out of new riders! All of the speakers brought valuable knowledge with them to share. I especially liked how Wes Maillard along with Jeremy and Heather Reynolds shared that they start their new horses s-l-o-w. LOTS of walking the first few months to establish a brain and a connection with the rider. Followed by intermittent walking and trotting based on how the horse handled it. If they got to heady or hot, back to walking. Hearing this training technique from top notch riders cements the proven strategy that when you first start out, being 1st should not be your game plan. Finishing on a sound, healthy and happy horse always should be. Attendees also learned about the differences between CTR and Endurance, what to bring to ride camp for you and your horse, trailer maintenance, horse camping and tack used in distance riding. LOTS of great information abounded. After the last speaker, the vet-ins started around 3:30pm. The horses looked great with a couple of rechecks for the morning. Dinner and ride meeting followed. After dinner, we invited new riders over to my trailer, so we could get to know each other better and answer questions and share stories of past experiences from some of the experienced riders. Lots of laughter, new friendships and sharing the joy of horses and riding together ensued. Sunday morning started with a nip in the air at 36-ish degrees. We had prancers and buckers but over all everyone left camp safely and calmly. Farley and I had the wonderful opportunity to mentor new rider Mallory Trepp on her young Arab, Ruby and experienced rider Linda Kropp on her rookie Arab, Luna. I shared little reminders to exhale, relax, massage your reins, relax and exhale again ☺ Both riders and horses did amazing! Next thing you know everyone was having fun practicing leading, passing and following. Farley was happy to be the caboose. All three horses passed the vet check with flying colors. Mallory’s dad shared with us that he saw a Florida Panther on the bike trail! The 25’s started coming in and everyone looked great from where I was watching. I missed the final vet presentations and awards. Congratulations to Felicity Beech for winning Grand Champion with her horse Major Lazaro and Mya Dossat on Bascheirra Hadeed winning Reserve Champion. Overall, we had a great turn out. Thank you to Doug and Michelle Shearer for opening their property, marking the trails, advertising, worrying, vetting, etc. and to EVERYONE who volunteered their time and entered the ride making the event a success. Our next meeting is scheduled for December 16 at 9AM at the Black Prong Equestrian Center. I don’t have an official agenda yet but one of the items we will be discussing is the use of hoof boots in Competitive Trail (CTR). Currently the rules state with the use of hoof boots the rider can compete for mileage only. Several members would like us to review this rule based on recent research on what similar clubs are now allowing. If you have an opinion, pro or con, please send me an email to: sedraprez@gmail.com. You can view the entire calendar at www.distanceriding.org. Don’t see a ride you plan on attending? Let me know and I’ll ask the ride manager to sanction with us. Nov 17 One of my favorites! Trails are well marked, ride management and volunteers are the BOMB! Nov 24 Our own Carol Thompson will be managing the ride this year! What a great way to spend Thanksgiving weekend! Dec 2 Another great place to ride in northern Florida. Stalls available on a 1st come basis, with a bathhouse and pavilion. Ride Info and Entry coming soon! Dec 14 & 15 Jo Harder is the new manager with camp back at Black Prong Equestrian Center. Bathhouse, electric options, cabins and plenty of room for parking. Dec 28, 29, 30 Doug Shearer is the new ride manager for this ride and is including a 100 mile option!